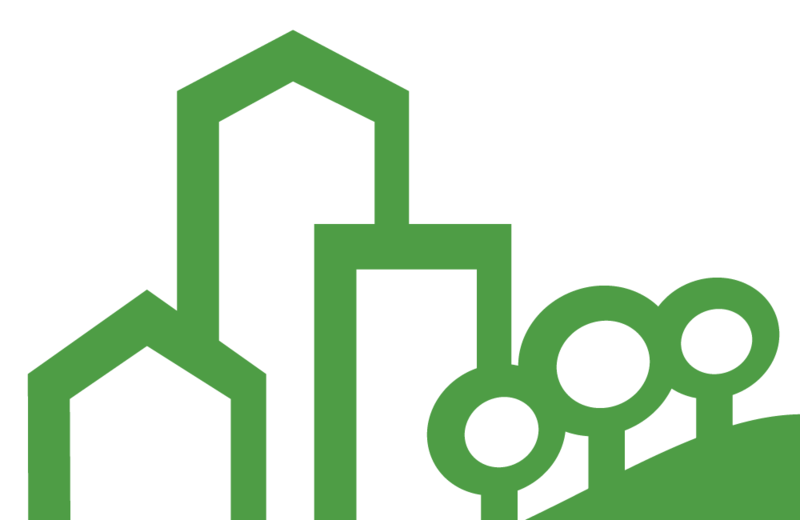 Working together, we can ensure all of our neighbors have the resources they need to thrive. A snapshot of Resident Services outcomes in 2017. Click on the image to see more of our recent impact. 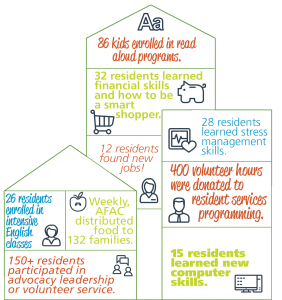 Founded in 1989 by four local families who wanted to help meet the needs of low-wage earners within their community, APAH now serves more than 3,000 individuals and families who live in our 16 properties in Arlington County. But housing is just one component of a family’s journey to stability. That’s why APAH has built collaborative partnerships with community nonprofits and Arlington County’s Department of Human Services in order to help address the spectrum of issues that APAH residents may face. We also actively Arlington County’s 10 Year Plan to End Homelessness by providing permanent supportive housing to our most vulnerable neighbors. In 2016, APAH was chosen as one of the 40 recipients of the Citi Foundation’s Community Progress Makers Fund. Thanks to the grant, we took major steps forward in building opportunity for Arlington residents by mobilizing a brain trust of community leaders to address issues of equity and inclusion.